An arm lift plastic surgery, or brachioplasty, removes the excess skin and fat, reducing the circumference and reshaping the upper arm area. Careful planning and excision of the excess skin and fat of the arm can conceal the scar on the inner side of the arm, improve the patient’s ability to fit into clothing as well as improve general comfort in this area. In certain patients, the modified arm lift (smaller procedure) limits the scar to only the armpit and normally is combined with a liposuction procedure to remove the fat through a keyhole wound. An upper arm lift, or Arm reduction, is part of a cosmetic plastic surgery procedure called ‘body contouring’, which is designed to remove skin and fat from various body areas. This sagging skin in the upper arm is typically caused by weight loss, however the natural ageing process also causes skin to lose elasticity and lax. Numerous individuals discover that arms, in particular, lose their firmness as the layers of muscle and supporting fat become thinner. Some call this a ‘bat wing’ deformity. 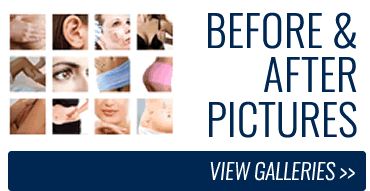 In such cases, an arm lift can assist to restore and tighten these areas, offering a much firmer, youthful look and leaving you more confident to wear sleeveless tops and dresses. 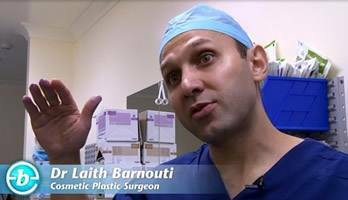 In your initial consultation, Dr Barnouti will assess your health and explain which surgical techniques are most appropriate for you, based on the quality of your skin and the amount of fat present. Be sure to discuss your expectations frankly with him. He will be equally frank with you, describing your alternatives and the risks and limitations of each. He will also explain the form of anaesthesia to be used in your particular situation. The best candidates for an arm lift are men or women who are looking for improvement in the way they look. If you are physically healthy and realistic in your expectations, you may be a good candidate. This surgery is not suitable after mastectomy or other operations in the axillary (armpit) lymph nodes. A careful consideration for patients who has multiple infections of the sweat gland in the armpit area. The procedure is usually done under General Aesthetic or local anaesthetics with sedation. Surgical correction depends on the amount of extra skin and how loose the supporting tissues have become. Extra skin is removed from incisions along the inner arm. The incision must be placed where the tissue can be best tightened. The incision may extend anywhere from the inside of the elbow to the inside of the armpit. Surgical sculpture involves not just the superficial skin but also the deeper attachments that have loosened. In some cases of limited extra skin, the incision can be hidden in the armpit. This can re-suspend tissues is some cases. Liposuction performed through a puncture wound, is the procedure of choice when there is excess fat and the skin is reasonably tight. Regardless of the location of the surgical incision, every effort is made to insure that the resulting scars will be as inconspicuous as possible. Drainage tubes following the operation are usually not needed and the surgery usually takes about 2.5 hours to complete. Dissolving stitches are used to close the incisions, which will also be taped for greater support. Be sure to arrange for someone to drive you home after your surgery and to help you out for a few days. You’re likely to feel sore in the arms for few days following your surgery, but you’ll be up and around in 24 to 48 hours. Most of your discomfort can be controlled by medication that we will prescribe. Within several days, the dressings tape will be removed, and you will be asked to wear a compression garment. This is to reduce swelling and assist in shrinking and tightening of the skin. You should wear it as directed. Elevations of the arm with pillows while sleeping will increases comfort. The sutures are absorbable. Most patients can return to work within a week, depending on the level of activity required for one’s job. Limiting heavy lifting is important for 1-2 weeks. Exercise and normal activities may be resumed in 2 weeks. Your scars will be firm and pink for at least six weeks. They may remain the same size for several months. After 6 months, your scars will begin to fade to a thin white line. For most patients, the results of an arm lift are extremely satisfying and well worth the surgery, the recovery and the scar. Your decision to have an arm lift, Arm reduction, is a highly personal one that not everyone will understand. What is important is how you yourself feel about it. If you’ve met your personal goals, then your surgery is a success. Total Cost: $6,900 (including Surgeon’s fee, Assistant Surgeons fee, Anaesthetist’s fee, Hospital, operating theatre and all follow up visits cost). This price assumes top hospital cover with a private fund. If fund cover does not apply in your situation, plan for additional costs of $3,000.